Hockey fans might be the most creative fans in the sports world and we've got another example to show you that proves why we think that. Recently, Reddit User thegleamingspire took it upon himself to open Chinese Wikipedia and pluck out NHL team names. The fan then took those names and threw them into an online translator. Some of the names translate directly, but some of them end up way off. As we said before, some of the names are spot on, but others are way, way, way off and we can only imagine what the logo for those ridiculous teams would look like. 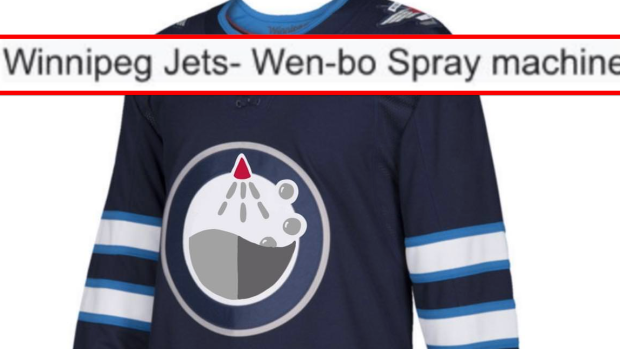 You don't have to imagine a logo for teams like the Pittsburgh Enterprise Goose anymore, though, because Reddit User robot-shmobot decided to make jerseys for some of the craziest translated team names and the results were fantastic. Which one is your favourite? Let us know by tweeting us @BarDown.